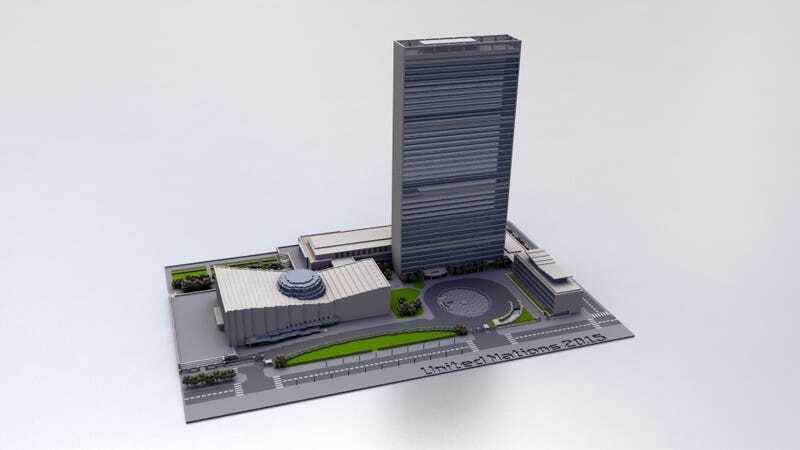 When redditor officialvide showed Minecraft to his dad, his first order of business, after picking up the basics, was to recreate the NYC United Nations Headquarters in-game. Impressive for a WIP, and especially for a first project. Much fancier than a wooden hut, anyway. There are five more renders below.